Musical Prophet: The Expanded N.Y. Studio Sessions (1962-1963) is the first official release of previously-unissued Eric Dolphy studio recordings in over 30 years! 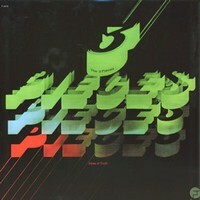 This album contains the complete studio album tracks from Conversations and Iron Man, originally produced by Alan Douglas– most well-known for his association with Jimi Hendrix, but who also worked on classic jazz albums such as Money Jungle with Duke Ellington, Charles Mingus and Max Roach — plus nearly 85 minutes of bonus material from the 1962 and 1963 studio session in New York City. This set features jazz greats such as saxophonists Clifford Jordan and Sonny Simmons, trumpeter Woody Shaw, bassist Richard Davis and NEA Jazz Master vibraphonist Bobby Hutcherson. The exhaustive booklet includes rare and previously unpublished photos and memorabilia; essays by jazz scholar Robin D.G. Kelley and co-producer/flutist James Newton; interviews with Pulitzer Prize-winning jazz icon Henry Threadgill, saxophonist/bass clarinetist David Murray and acclaimed flutist Nicole Mitchell; plus much more! 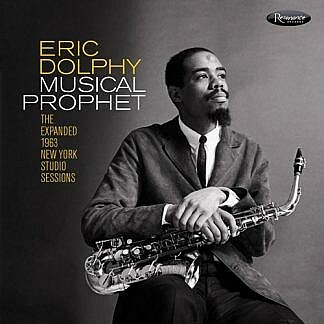 This is truly the holy grail of long lost Eric Dolphy recordings.